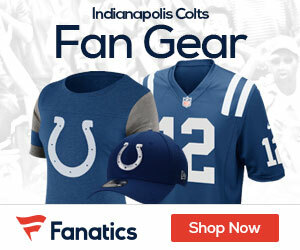 In addition to the five grand prizes, fans have the opportunity to win one of ten first place prizes consisting of an autographed Howie Long football and a $250 nflshop.com gift card. Twenty-five $100 nflshop.com gift cards will also be awarded to second prize winners. State Farm’s integrated marketing campaign will be kicked off with the airing of a new 15-second spot featuring Howie Long. The new spot will air on FOX during the Packers/Lions game on Thanksgiving Day (12:30 p.m. EST). “NFL fans are some of the best and most loyal in sports today, and State Farm wants to give them the chance to hang with the best in Hawaii,” said Mark Gibson, assistant vice president – advertising for State Farm. “This promotion allows State Farm to reach a fan base of over 50 million fans and become top of mind with this very loyal and passionate audience”. State Farm continues to be a leader in the sports marketing arena. By teaming with the NFL, the number one sport in the U.S., State Farm will extend its brand to new audiences and connect further with existing customers. For more information about the State Farm “Your Game | Your Call” Ultimate Pro Bowl Giveaway and for official rules, please visit the website at: www.statefarm.com/NFL2. No purchase necessary. Void where prohibited.